The Nursery class runs from 08.40 – 15.20 term time only. Half day morning sessions are available. Fees are competitively priced averaged over the academic year with a minimum attendance of 5 part days per week. As with Reception class, Early Years funding for children under the age of 5 may be offset against fees. Funding is available to all children in the term after their 3rd birthday. We offer the option of 'wrap-around care' from 7:45am – 6:00pm for regular pre-booked sessions. The staff plan a range of play based and creative learning opportunities which encompass the Early Years Foundation Stage (EYFS) framework. Nursery follows the three Prime Areas and four Specific Areas of the EYFS Framework. Pre-reading and number skills are introduced and reinforced throughout the year. Specialist teachers are used for Music, Dance and Drama and French. Particular attention is paid to developing the children's personal, social and emotional skills. Good manners, being kind and sharing are encouraged from day one. Children learn by example and through activities such as circle time and small group sessions. The classroom opens out onto a covered playground which allows for outside learning. The Nursery has full access to the school grounds including the climbing frame, outside space and the gym. 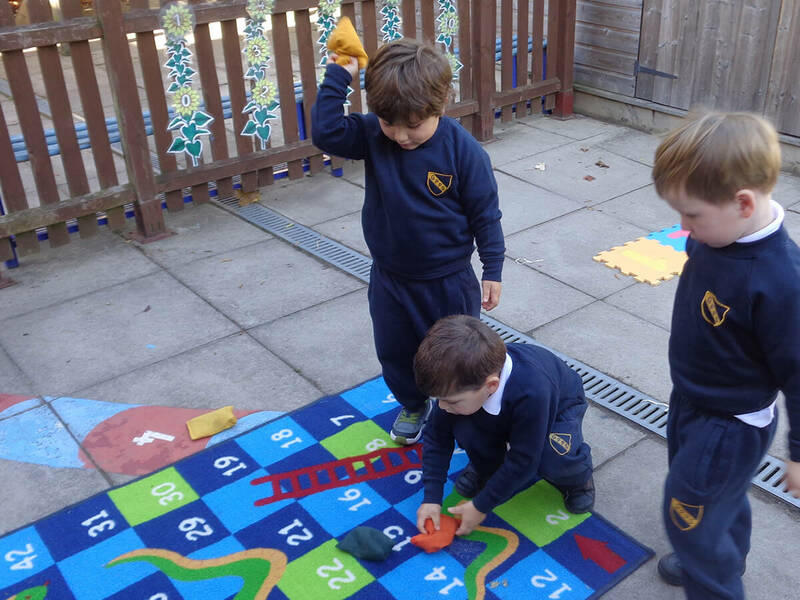 The Nursery is well resourced and benefits from a range of large and small equipment which enables the children to gain confidence and enjoyment whilst learning through play. Children are offered a mid morning snack of fresh fruit. Nursery children, who are staying the whole day, have lunch in the dining room. Polite table manners are both encouraged and expected. Nursery has an open door policy and staff are always available to see parents with queries and concerns. We hold Parent consultations twice a year and parents receive a comprehensive written report about their child’s progress at the end of the academic year. Children may be registered for the nursery from any age. To register a child formally, the registration form (which is enclosed with the prospectus) must be filled out and signed by all those with parental responsibility. This must be returned to the School, together with a cheque or bank transfer, for the non-returnable registration fee. At this stage if parents declare any special educational, medical need or disability the School will make all reasonable adjustments for the admissions process. Upon receipt of the registration form and after meeting the parents a place will be formally offered. Taster days and settling days, which are tailored to the individual child’s requirements will be organised. At GPPS we provide a Wraparound Care service that enables your child to be safely looked after from 7:45am to 6pm. Breakfast club runs from 7:45am to 8:30am. After school care runs from 3:30pm to 6pm. From 3:30pm to 4:30pm children are supervised with their homework in the Hall. After this they have a substantial snack, they may then access a variety of activities.